Chrome plated brass. Height as fitted 120mm. For cloakrooms. Coll Mini Basin Mono Mixer Tap is rated 4.4 out of 5 by 5. Rated 5 out of 5 by Bhhhhh from Easy to fit, stylish, good price & fast delivery It look great and really easy to fit. 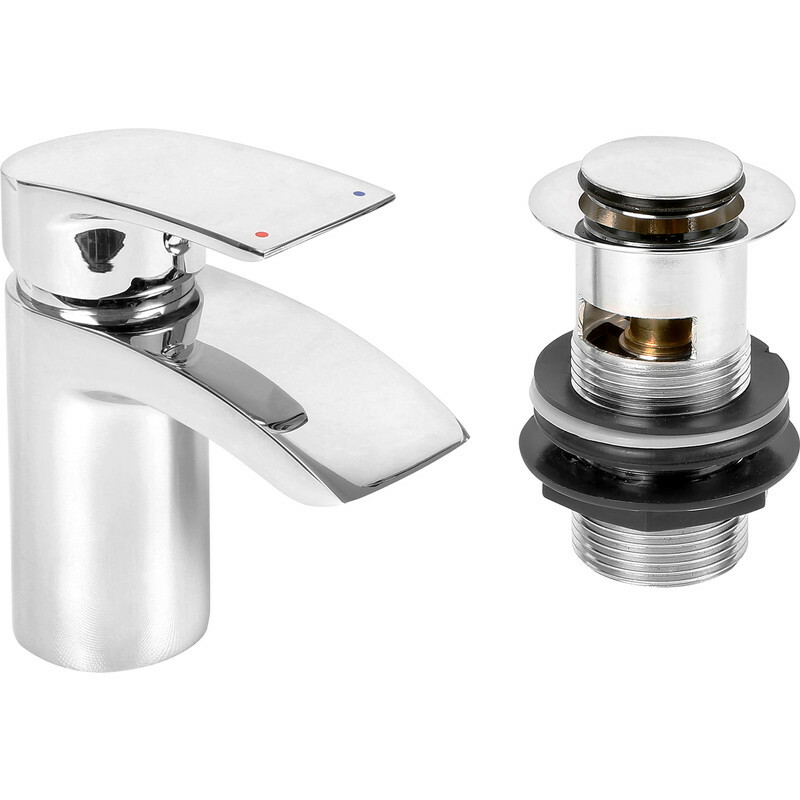 Rated 5 out of 5 by anything from Great looking tap Great price, easy fit with pop-up waste looks more expensive. Rated 2 out of 5 by Barnaclebill from Too short reach Only height dimension given in description. Excellent quality tap; mechanism operates nicely BUT be careful to match with sink. As fitted to my toilet washbasin, the horizontal reach over the sink is too short, consequently water easily splashes onto the sink surround leaving puddles. Never had this with a tap before. Rated 5 out of 5 by merlyn from Straight forward fitting Excellent looking tap, very easy to install. It also comes with a pop up waste (bonus). Great value for money compared to similar units. Rated 5 out of 5 by Penny from Simple modern design As described, looks good and works well. Didn't realise it came with the plug too though, that wasn't clear.